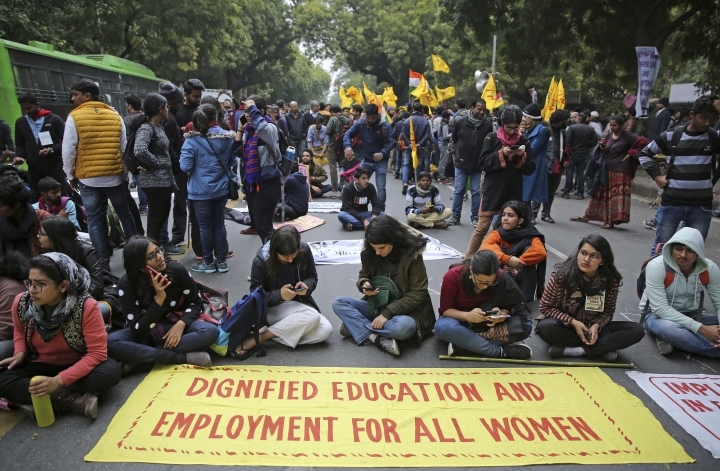 NEW DELHI — Hundreds of jobless young people marched Thursday through the streets of the Indian capital demanding Prime Minister Narendra Modi's government tackle what they called a rising unemployment crisis. 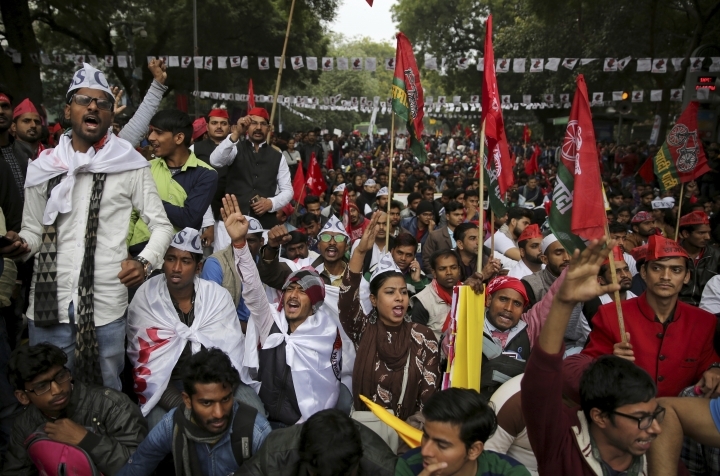 The protesters disputed the government's claim that it has created millions of jobs since it came to power in 2014 with the economy growing around 7 percent annually. 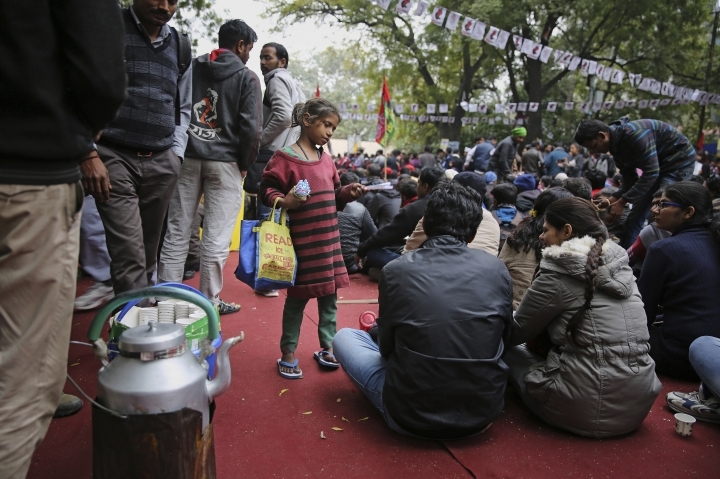 They marched from the 17th century Red Fort to a park near India's Parliament building. 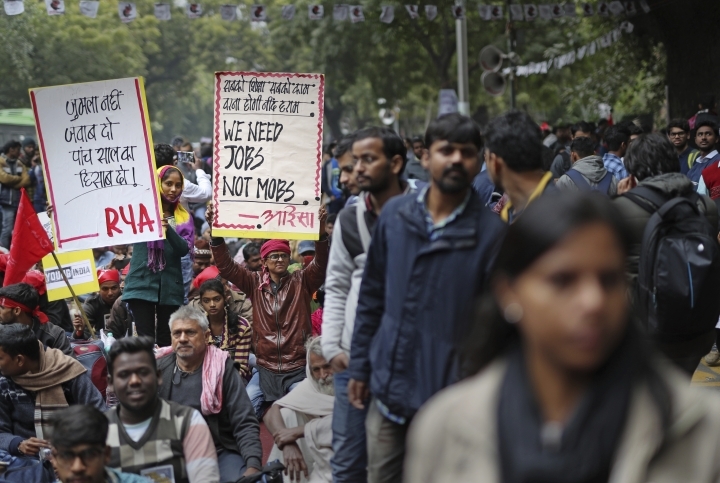 Dismissing the economic expansion as a jobless growth, the protesters said authorities should immediately fill 2.4 million vacancies in government jobs to reduce unemployment. Media reports say the government is suppressing data showing the country's unemployment rate has hit a 45-year high of 6.1 percent. The government says the figures are premature and official numbers will be announced in March. "We are frustrated. 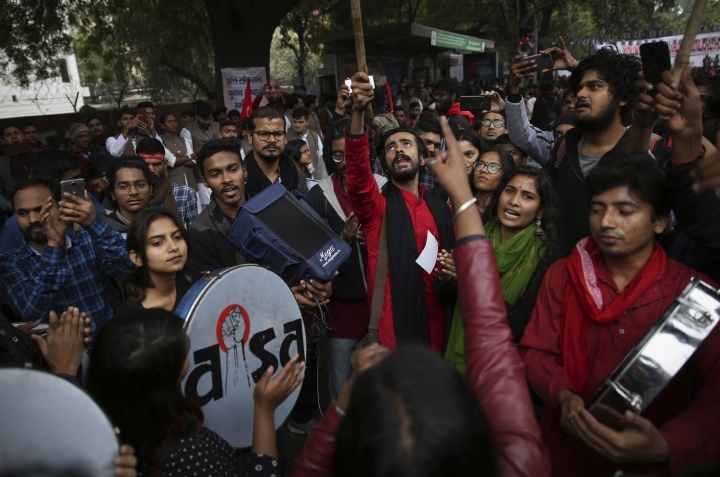 I think this government has to give lot of answers to a lot of us today," said Ngurang Reena, a 27-year-old university student. 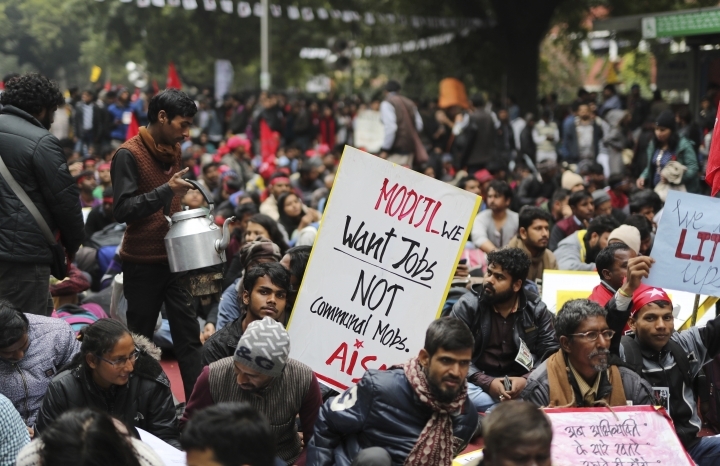 Amlokant Mako, another marcher, noted that Modi had promised to create 20 million new jobs a year. "He has not kept his promises," he said. In a sudden move in 2017, Modi's government demonetized high currency notes of 500 rupees and 1,000 rupees to try to reduce black-market dealings and encourage digital transfers. 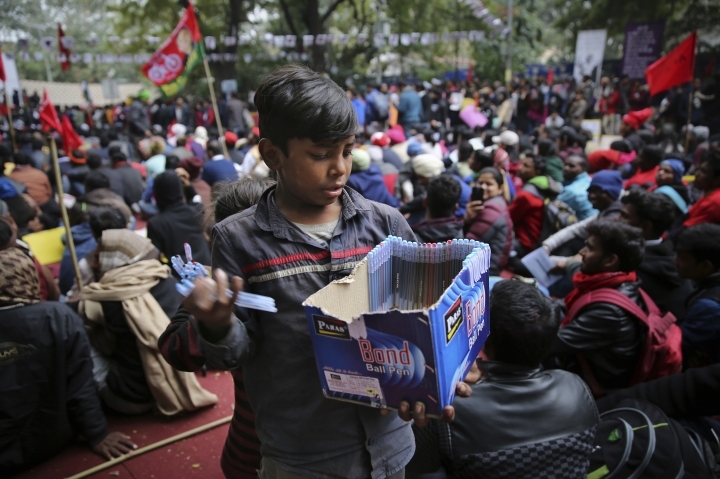 But that hit India's informal economy badly, with tens of thousands of jobs lost and businesses in several cash-intensive industries taking a beating.